Both nights of this event are sold out. Scroll down to join the waitlist for a particular date, and make sure you never miss out on tickets again! Green-Wood members get access to tickets weeks before the general public. Join today. This popular event is back in 2018 for two nights! Enjoy a Victorian extravaganza put on by our good friends at Bindlestiff Family Cirkus. Begin the evening with a picnic (bring your own) around beautiful Crescent Water pond. Then prepare to be dazzled by nineteenth-century showmanship: fire eaters, musicians, contortionists, performers on floats, and much more – all under the starry summer skies. The evening celebrates Green-Wood permanent resident William Niblo, whose Niblo’s Garden was once one of New York City’s largest and most elaborate theaters (at Prince and Broadway in SoHo) replete with sparkling lanterns, fountains, and an open-air restaurant and bar that featured the top musicians, dancers, and entertainers of the time. $35 for members of Green-Wood and BHS / $40 for non-members. 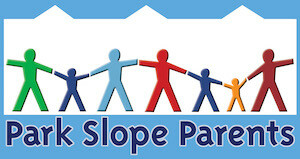 This program is presented in partnership with Park Slope Parents. Both nights are completely SOLD OUT. Tickets will NOT be available at the door.